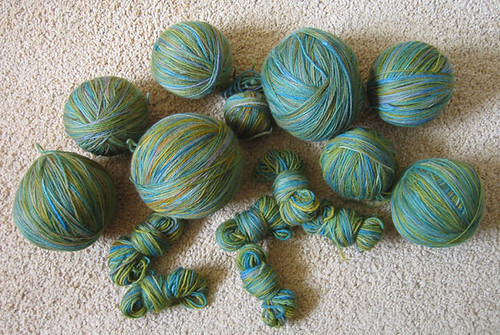 This, plus the ball I posted about earlier in the week is 3 1/2km of yarn. In other news winding by hand isn’t so bad, and kind of zen. ← Corners of my Home.